Make Money with your Own Web Hosting Business Now! - Starts Just @ € 24.99** /mo. .
Why SSDs are Best Choice for hosting ??? Scopehosts is introducing SSD Based reseller hosting at Netherlands location with 1Gbps Network speed. SSDs(Solid State Drives) are non-volatile flash memory, an embedded controllers are used to read/write data rather than using mechanical parts. SSDs Have Less Latency, Lower access time, High durability, High resistance to physical shock and works diligently, Which results in performance benefits and works Faster than traditional spinning drives(HDDs). SSDs has remarkable improvement on Web Hosting Speed. SSDs are reliable and avoids loss of data using controllers. SSDs are highly stable, allows websites load faster and boost uptime. Conclusion : SSD Reseller hosting ensures faster and best website performance, reduces power needs, and improves website loading speed. Get .com, .net, .org for free. SSD enabled service performing 20x faster than HDDs. Domain reseller with popular TLDs, gTLDs and SSL Certificate. Access top billing panel and support system for Free. Best Plans of Top Web Hosting Service For Your Business!! Taking Business to Next Level. * Terms and conditions apply. .
*** FREE Domain and FREE WHMCS panel available on only Annual Subscriptions. †Discounts are applicable on Monthly/Annual Subscription. - Premium Features on Secured Environment. Free Tools To Make Your Business A Grand Success Now! SSD space with all the Plans for fast loading of your website. Most preferred panel to Manage Billing, Sales and Support. Get cPanel/WHM for Free and Save upto $425/year. Unsatisfied with our service? Move out any time. Resell gTLD`s and SSL Certificates. 405+ Apps available for installation in a click. Start with own web hosting brand. Risk Free Service with Daily Backup of your website. 1. What is Reseller Hosting ? Ans: This service allows you to get started with own web hosting company without having to sustain the costs of server maintainance, website uptime, software and lot more. It is most suitable to freelancers and agencies offering web designing, development and business services to their clients. Your clients will purchase and host their websites via you, as if you were the web hosting service provider. 2. Do I get monetary benefits with reseller hosting ? Ans: This service is designed to make you money via starting an own web hosting business. You can endorse or resell ScopeHosts web hosting service equipped with Free SSD space, WHMCS and more at the price you want. 3. What is the key difference between reseller hosting and affiliate program ? Ans: With reseller hosting you can start up with own web hosting business. Where as in affiliate program, you can refer clients directly to ScopeHosts in exchange for a commission of up to 15%, along with other benefits like free VPS and Dedicated Servers, T&C applied*. 4. How do you provide the technical support ? Ans: As you are the first point of contact even for you clients, in case if you an technical assistance, then contact technical support department of ScopeHosts. Your tickets are resolved on priority SLA. We are available 24/7 to provide you the best valid solution. 5. What plan has to be chosen to get Free Domain and Free WHMCS ? Ans: We provide Free Domain and Free WHMCS panel wih every plan of this service. You can relish these vital features if you are subscribed annually. 6. Will I be charged with certain fee if I wish to upgrade my reseller hosting plan ? Ans: You can upgrade your existing plan to a higher hosting plan if required. In order to upgrade to the next higher plan, you have to pay the difference amount. 7. Who will manage the domain registration for my clients ? Ans: ScopeHosts offers free domain regstration for our resellers. If your clients wants to register domain name, then all you have to do is contact us and we will get the domain name registered for your clients. 8. Can I add or delete the features on my clients domains ? Ans: As a reseller of ScopeHosts you will have control over over client’s accounts. You will have access over cPanel and WHMCS panel, which will allow you to add or delete the feaures on client’s account. 9. How many cPanel accounts can I create ? Ans: Number of cPanel accounts created depends on the hosting plan you have chosen. With RH-Mini plan you can create 25 cPanel accounts. With the other three hosting plans, that is RH-Basic, RH-Geeks and RH-Pro you can create unlimited cPanel accounts for your clients. 10. What technical knowledge should I possess to be a reseller ? Ans: To be a successful reseller or to start with own web hosting company all you have to do is to promote your web hosting brand and rest of the technical aspects wil be handled by ScopeHosts. 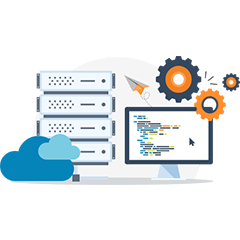 Our web hosting experts will be operating in the back-end to take care of the technical aspects based on the Priority Support SLA. 11. Will I be provided with SSL certificate ? Ans: To secure your critical and sensitive data you can purchase SSL certificate provided as an addon with this service. 12. On what basis you provide money back when the service cancellation is requested ? Ans: With this service we provide anytime moneyback guarantee. Service cancellation request made within the first 30days of the subscription will yield you full refund. 13. What is main advantage of choosing reseller hosting ? Ans: This service allows you to start with own web hosting company. Being a reseller will yield you monetary benefits as you will get the ability to customize your hosting plans for better flexibility and profit. 14. Can I offer free web hosting service for my clients ? Ans: No, free hosting cannot be offered as a plan on your reseller store. If you really want to proffer free services to your clients, then you have to pay for that service yourself. 15. Do you web design service to set up my reseller web store ? Ans: We do offer web design service to bestow the unique web presence for your business. But, we do not offer web design service for free with reseller hosting service. You can contact us if you want to have a unique presence for your business. 16. Are my clients allowed to choose a server location for their web hosting service ? Ans: Yes, your clients can choose the server location for the service they purchase. ScopeHosts have servers in USA, Netherlands, Germany and Russia. Every client is allowed to opt the suitable server location during the signup. 17. Who will provide customer support for my clients ? Ans: ScopeHosts will provide customer support for your customers on behalf of your hosting business. We provide support via live chat, email and ticketing system. 18. How can I and customers pay ? Ans: Payment methods supported are PayPal, WebMoney, Bank Transfer, PayU, DotPay, UnionPay, Qiwi, iDeal, Yandex.Money, AliPay, TrustPay & GiroPay. For Any Queries Feel FREE to Reach Us! !